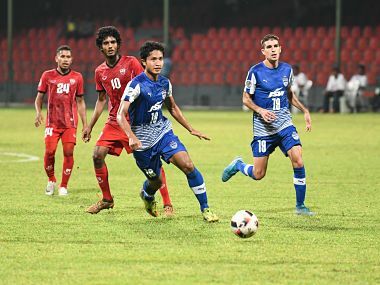 Male: Bengaluru FC on Tuesday pipped TC Sports Club Maldives 3-2 in a thrilling away play-off encounter of the AFC Cup football tournament. The club came up trumps in a match that observed five second-half strikes after a first 45 minutes. Semboi Haokip struck at the 78th and 52nd minute while defender Erik Paartalu scored one from the minute during traffic’ campaign. Winger Toni was in his element as he led with perfect that Semboi and Erik led home. But the home team restored parity within a space of two minutes with attack. For Anatoli, Mahudhee supplied a help at the 71st minute to slot house and also proceedings were levelled by the former inside a few minutes.